Rapoo today launched its latest VPRO gaming peripherals that include a new headset, mouse, and mechanical keyboards targeted at gaming enthusiasts and serious gamers. With the latest introduction of gaming peripherals from VPRO, a professional gaming brand under Rapoo that offers good quality and best value performance products, the gaming community will surely have a field day. 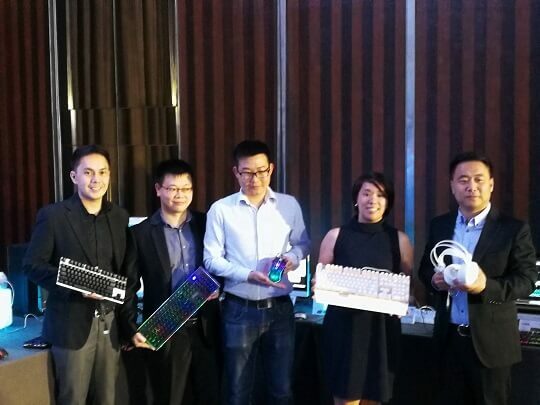 Rapoo's new VPRO range of gaming gears is expected to boost users' gaming experience and offer value for money. Leading the lineup is the VPRO V810, a stylish backlit mechanical gaming keyboard that is built with high-grade materials. It features full mechanical keys with five dedicated macro keys and an onboard memory. Joining the V810 is the VPRO V310 laser gaming mouse, which boasts Rapoo's brand-new V-power3 gaming chip with 32-bit ARM core processor running at 60MHz and 1000Hz USB report rate for a high-speed response. It also has a professional gaming optical engine with an image-processing rate of 12000fps and an LED multi-color light system. Other VPRO gaming mice include the V25S, V280, and V26. 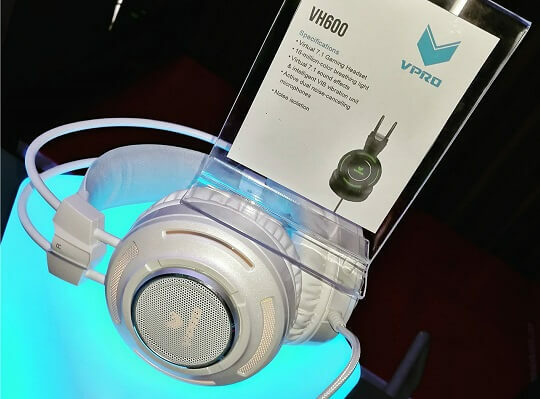 Finally, to complete the trio of gaming gears comes the VPRO VH600 gaming headset that sports a multi-function remote configuration free control and VIB vibration unit. The over-ear design provides comfort, noise isolation, and it has an active dual mic support. For entry level gamers, there's also the VPRO VH200 illuminated gaming headset with professional sound adjustment, accurate positioning noise-cancelling microphone, as well as intelligent suspension headwear. Rapoo's latest VPRO gears will be available in stores and third party resellers starting this May.